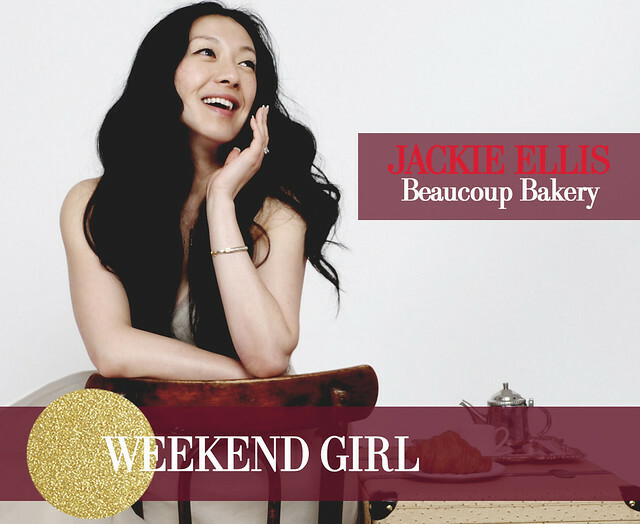 This month's Weekend Girl is the illustrious Jackie Ellis of Beaucoup Bakery and Cafe. Seemingly out of nowhere, the owner of this patisserie has taken the city by storm with her amazing culinary creations. The shop is a favourite morning coffee spot for all the Blubird girls, and it's become somewhat of a tradition to bring her amazing almond double bakes back to the store as we leave. We caught up with the undeniably chic Jackie, learning more about the entrepreneur who happens to bake the best pain au chocolats in town (it's no surprise that it's the pastry she'd eat every day if she could only choose one)!